An assumption has been made that anyone reading this has a basic knowledge of most gear types and their geometric makeup. 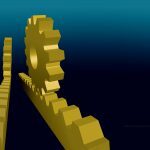 Gears are a unique application for lubrication in that they provide a different challenge than other lubricant applications. In non-gear applications, the moving surfaces are in sliding motion or rolling motion. 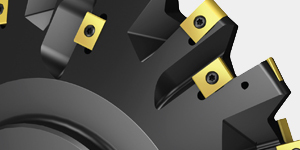 Gear teeth, however, experience both rolling and sliding motion at the same time. With these interesting conditions in mind, the formulator has numerous ingredients available to build a gear lubricant that provides proper protection. See Table 1 for a list of common ingredients used in various combinations for gear oil formulas. A formula does not have to contain every one of these additives, and there are multiple additives available to provide specific functions. It is the job of the lubricant formulator to choose the proper ingredients to provide synergistic performance in a given application. So, how does a formulator choose the proper ingredients for gear oil for a specific application? To answer this question, it might help to define how gear oils are categorized. 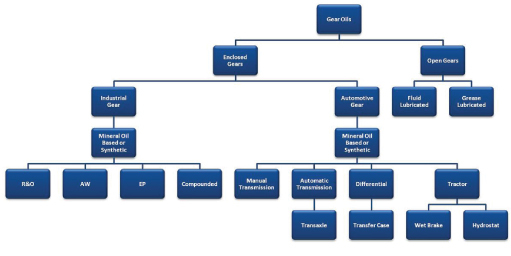 As you can see in Figure 1, gear oils are categorized first based upon the application as either an open gear lubricant or an enclosed gear lubricant. As these names would suggest, an open gear lubricant is not enclosed in a gearbox or oil sump. As such, open gear lubricants are generally formulated as either high viscosity fluids or greases. This paper will focus on enclosed gears only. For years, many have stated that when selecting a gear lubricant, or any lubricant for that matter, one must consider only temperature, speed and load. More recently, this advice has been expanded to include environment. An easy way to remember this is LETS: load, environment, temperature and speed. While this advice is simple and memorable, it still doesn’t provide sufficient direction to make an educated decision. Instead, the following 10-step process is recommended to anyone who is responsible for purchasing enclosed gear lubricants. As with most things in life, it is very important to have a goal. This is even important when it comes to selecting a gear lubricant for use in a specific piece of equipment. Most maintenance groups have a broad goal of increasing the reliability of the equipment for which they are responsible. 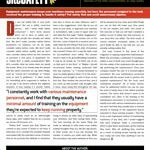 In trying to improve reliability, one thing that is often reviewed is “uptime.” The higher the percentage of uptime, the more reliable it is considered. Lubrication has often been traced to reliability. Also, many maintenance individuals would like to reduce the amount of time they have to spend performing lubricant-related maintenance projects. High-performance lubricants are available that can be used to help improve reliability. Lubrication has also been traced to improved energy efficiency, an area that has been given much attention in recent years. 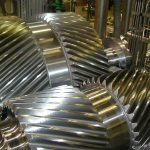 Improved heat removal and friction reduction in a gear application can result in decreased energy consumption. So the question remains, what is the goal for selecting a gear lubricant for a specific application? Is the one currently in use not performing as needed? Is there a desire to change from one supplier to another? Is it a new piece of equipment that needs to be filled for the first time? Are there availability issues with the lubricant currently in use? Does the company have an edict to reduce energy consumption? Is there a desire to increase the maintenance intervals? Goals must be personalized and they must be specific. Without a specific goal, there is little reason to push ahead to steps 2-10. Ideally, a lubricant sales professional or consultant is available to serve as a value-added member of the team. It used to be that many companies would employ a lubrication engineer or at the very least have a person whose job was focused on equipment lubrication. Today, most maintenance departments have been forced to work with fewer people. As a result, a lubrication specialist on staff is considered a luxury. Instead, lubrication duties have been added to the existing workload of maintenance staff. As a result, time spent on improving equipment reliability through lubrication has been decreased. The next step is to consider the recommendations of the original manufacturer of the gear equipment. 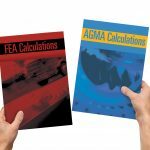 Ask any potential gear oil suppliers if they are able to provide evidence that their products are either approved by, or meet the requirements of, the OEM. 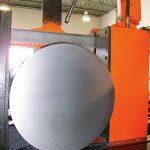 Often the OEM has determined—through field experience or extensive testing—what the lubricant requirements are for the equipment. Some will publish a specification that lists the physical and performance requirements for the gear lubricants. 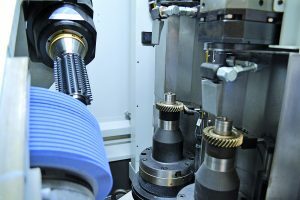 Some gear OEMs even take it a step further by creating their own approval system, including approvals and the publication of a list of approved products. 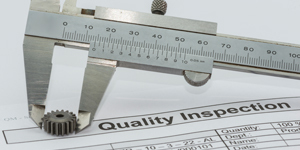 It is important to become familiar with these specifications or approval lists so as not to void any warranties provided by the OEM and to maximize the reliability of the equipment. Many lubricant purchasers fail to consider the compatibility of the lubricant with the equipment in which it is going to be installed. 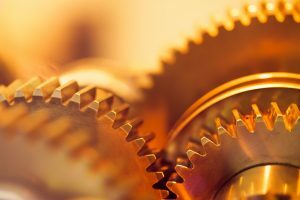 Some OEMs use coatings or paints to protect the insides of a gearbox from corrosion. Unfortunately, some lubricants can compromise these coatings. Another compatibility issue can be the use of certain elastomeric seals in a gearbox. If the lubricant is incompatible with these elastomers, the seals could start leaking. If not caught soon enough, these leaks can result in lubricant starvation if too much fluid escapes from the unit. Oil leaks also can result in safety issues if the oil collects where it causes a slip hazard. Based upon specific end uses of a gearbox, there are circumstances in which the OEM-recommended oil does not provide adequate protection. 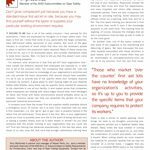 In these cases, it is extremely important that the professional advisor mentioned in step 2 be consulted for other recommendations, and that proper testing be conducted to ensure a successful change to a new, better-performing product. 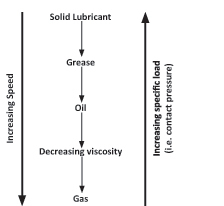 Figure 1 illustrates how gear oils are characterized according to their formulation and/or usage application. It especially shows how industrial gear oils are characterized according to their additive type, specifically the wear-related chemistry used. For example, a gear lubricant may be described as R & O, EP or AW. Certain enclosed gear applications have little to no load applied. The appropriate oil in this case might be R & O oil only. As the amount of loading increases, so will the amount of metal-to-metal contact between the gears. 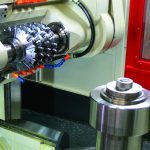 For gears operating in the mixed film wear regime, AW oil may be needed, while for those operating in the boundary regime, EP oil may be needed. 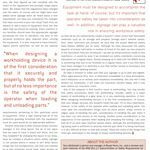 Sometimes the OEM specifically describes the type needed either in the equipment user’s manual or on a plate attached directly to the gearbox itself. 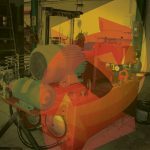 If not, then it is up to the user to determine whether the application subjects the gearbox to either heavy loads or shock loads during operation. 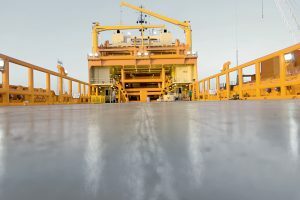 In that case, it will require EP oil that contains active sulfur and phosphorous compounds that form a protective chemical layer on the gear surfaces when the fluid is compressed out of the meshed gears. In extreme loading cases, it might be helpful to use gear lubricant that contains solid EP additives. However, it is important to note whether fine filtration is in use, because it can remove solid additives and make this specific product ineffective. Some OEMs specifically recommend against the use of solid additives, so it is important to know this. You must know the construction of the gearbox and use this information as part of the lubricant selection process. This includes the metallurgies, gear geometries and the cuts of the gears (rough or smooth). 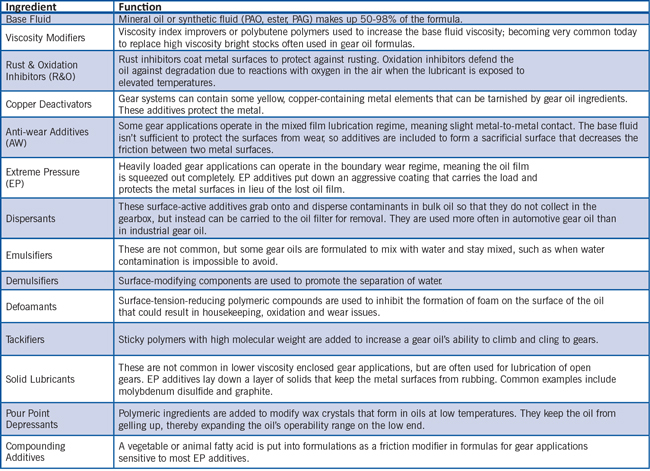 Table 2 illustrates the part that gear geometry plays in the lubricant selection process. The gearbox capacity is a subcategory of construction that merits its own discussion. As noted previously by Cooper, many gearboxes are getting smaller. In a small gearbox, less oil is present. As such, it could run hotter, be sheared more by the gears and be affected more dramatically by contamination. The corollary is that in a large box, the oil may circulate less, run much cooler and last much longer. Although this sounds like an endorsement for larger gearboxes, they are not suitable—or even possible—with some applications. Many lubricant additives activate at certain temperatures. With that in mind, it is possible that a large gear set might experience elevated wear because the oil never gets hot enough for the additives to activate. 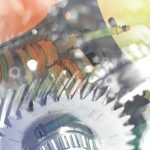 On the other hand, the wrong additive system employed in a small, hot gearbox could result in an aggressive gear additive prematurely activating, oxidizing and leaving behind deposits. The oil capacity of the gearbox can have a dramatic effect on the gear oil. As such, capacity must be considered as a part of the selection process. Also, if the goal determined in step 1 was to extend the interval between lubricant drains, the size of the gearbox case is very important. 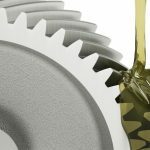 The more lubricant there is in the gear case, the more additive reserves there are to extend the life of the lubricant. A gearbox could be operating in an environment that is hot, cold, dusty, wet or various combinations of these conditions, all of which can have significant effects on the gearbox. To minimize these effects, you can take precautions such as using air breathers, sight glasses and filtration devices. The lubricant itself also may be required to compensate for some of the challenges caused by the operating conditions. For an application operating at either extremely high or low temperatures, it may be necessary to choose a synthetic-based lubricant instead of a mineral-oil-based lubricant. For low temperatures, oil should have a pour point that is 5°C (9°F) below the startup temperature. Operating temperatures can also determine the chemistry needed in the gear oil. Very aggressive EP gear oils might result in heavy deposit formation in the gearbox during operation. Non-EP oil used in an EP oil application can result in high oil temperatures due to excess frictional heating of the oil. In a coal or rock crushing plant, it is inevitable that dust and dirt will be in the air, and it is very difficult to keep the particles from finding their way into the gear oil. Filterable gear oil would allow filtration to remove harmful contaminants without removing valuable additives. 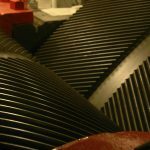 In water treatment facilities, it is nearly impossible to keep water out of some gearboxes, making it extremely important to choose a gear lubricant with excellent water separation properties. 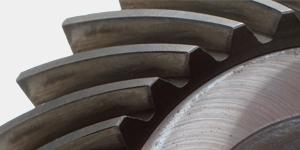 The viscosity of a gear lubricant is a measurement of its ability to flow in an application. 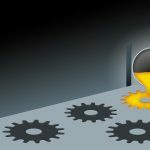 This is a very important consideration in selecting gear oil. If the oil is too thick, it will not flow into the gear contact zones. If the oil is too thin, it will be compressed out of the contact zones or fling off the gears while they are in motion. In either case, lubricant starvation will occur, which can result in premature wear-related failures. The primary means of gear lubricant selection, with regard to viscosity, is to use the OEM requirement. 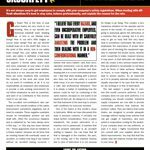 If an OEM recommendation is not available, there are two other methods to obtain viscosity recommendations. 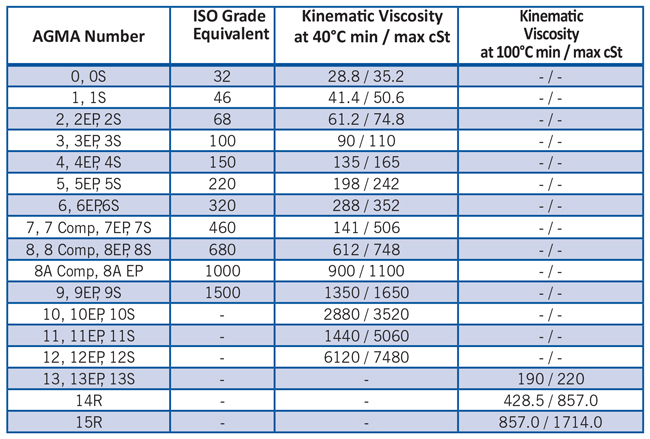 The first is to use the viscosity ranges recommended by the American Gear Manufacturer’s Association, per its 9005-E02 standard (3), illustrated in Table 3.
a. Increase one ISO viscosity grade if the ambient temperature exceeds 35°C (95°F). b. Increase two ISO viscosity grades if the ambient temperature exceeds 50°C (122°F). If there is an oil cooler, the maximum ambient temperature is less important because the oil’s temperature can be controlled. Therefore, the oil’s temperature should determine the viscosity. c. Increase one ISO viscosity grade if the oil temperature exceeds 65°C (150°F). d. Increase two ISO viscosity grades if the oil temperature exceeds 85°C (185°F). Today, people are realizing that there is a hidden cost to using inexpensive, lower performance lubricants. The less time a lubricant lasts during service, the more maintenance it takes to change the lubricant. In addition, the more frequently the lubricant is changed, the more waste lubricant there is to be disposed. While there are plenty of companies specializing in waste oil disposal, they do charge for their services. With these hidden costs in mind, many users are looking to extend their drain intervals. 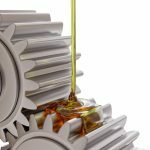 Gear oil durability requires that a proper synergy exists between the base fluids and additives chosen for the gear product. The user must consider the gearbox application to know what type of stresses it will put on the lubricant. Improper selection will accelerate the demise of the lubricant’s physical and chemical properties. For example, as mentioned in step 6, filtration tools can overcome some of the issues caused by the operating environment. However, filters also might remove some of the additives, such as tackifiers and defoamants. Consult the manufacturer of the gear lubricant to verify if it has experience in these cases. If not, request testing or continue searching for another supplier. While consideration of price is a valid part of the lubricant selection process, it should always be the last step. By the time steps 1-9 have been completed, it is likely that the most appropriate lubricant for the gear application has become apparent. Yet, if there are still several products that appear to be equivalent, then price should play into the selection process. The highest priced lubricant is not necessarily the best for a given application. For example, if a gearbox has leaking problems, it is not likely that an expensive synthetic lubricant will provide value. On the flip side, this does not mean you should purchase the least expensive gear oil and ignore the leaking gearbox. In a case such as this, it is a maintenance issue and not a lubricant issue. As described by Mr. Johnson, leaving a problem like this unresolved can cost the company much more in the long run than initiating good maintenance practices and choosing high performance lubrication products. Assuming that steps 1-10 have been considered and the final decision comes down to a comparison of data sheets, the question still remains, what numbers should one consider important? A review of various gear lubricant suppliers’ data sheets will show that there can be dramatic differences between the claims made. Without knowledge, the tendency might be to go with the product with the most numbers and OEM claims on the data sheet. 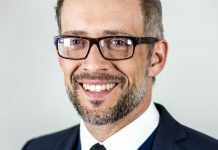 While this shows that the supplier was willing to put a sizeable investment into product development testing, it still doesn’t necessarily prove that one product is better than the other for the application. Be wary of the lubricant sales person who just points out one specific data point and emphasizes this for the sale. There are other factors that affect the significance of those numbers, such as applicability to the application, test precision and units portrayed. Let’s take a look at just a few. 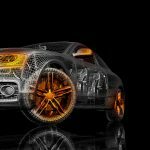 Many companies will show the Timken test—ASTM D2782 (9). What is not widely known outside of the laboratory is the precision of this test. Most ASTM test methods include a repeatability and reproducibility statement. Repeatability is a measure of error between multiple test runs, on the same sample, by the same operator running the same instrument, while reproducibility is the error between multiple test runs conducted on the same sample by different operators on different instruments. Next, it is a good idea to pay close attention to the units reported on a product data sheet. Once again using the fictitious 50-lb Timken result, a lab in the U.S. might report that data as 50 lb, while a lab in Europe might present it in metric units as 22.6 Kg. Both of these are correct, but the U.S. lab number looks much higher. One might mistake the U.S. result as a better result when they are actually the exact same number. As a sideline to this, there are various standards groups active throughout the world. They might publish very similar methods, yet there can be subtle differences. One cannot just assume that results published using the same instrument are comparable, because the various methods used can cause differences in results. For example, an ASTM method might produce different results than an ISO method on the same instrument. There are two common corrosion tests used within the lubricant industry: ASTM D665 (10) and ASTM D130 (11). Both have nuances, depending upon the application. The D665 has an A and B version of the test method. The A version uses deionized water for the testing, while the B version uses standard saltwater. Traditionally, the saltwater version is more severe, so when considering results one should ensure that the same test conditions were employed. The D130 test employs two different test temperatures. This can make a big difference depending upon the EP package used in the gear oil’s formulation. The same result published on two competitive data sheets might not mean the same thing if the temperature is not published. The gear lubricant features that should be evaluated when comparing data sheets depends upon the application. 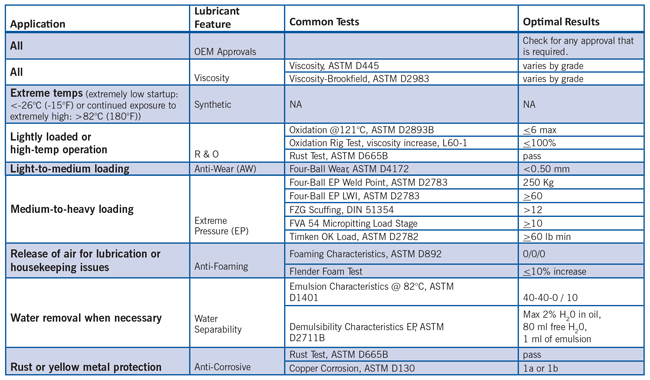 See Table 4 for a list of common lubricant features cross-referenced with application conditions and optimal test results indicating a lubricant’s suitability for that application. 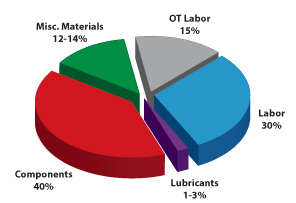 While the lubricant industry is considered a relatively mature industry, there are still areas of active research. The leading edge for lubricant manufacturers is to formulate products that can be used in the challenging wind turbine gearbox applications. Over the years, wind turbine OEMs have found that their gear sets are notorious for micropitting, also sometimes called fatigue scoring, flecking, frosting, glazing, gray staining, microspalling, peeling or superficial spalling. The FVA 54 test evaluates this phenomenon. This test, which is specific to base fluid, viscosity and additive chemistry, is not easy to pass. This is why some wind turbine OEMs have come to respect the data from this test and have now incorporated it into their specifications. Several OEMs also require a passing result for their general industrial gear specifications. 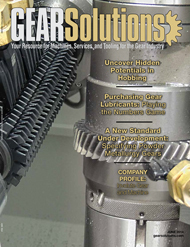 Several resources are available to help the end user select the right gear lubricant. 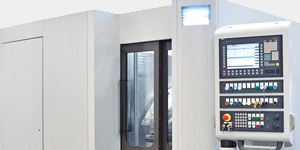 Some have focused only on speed, temperature and load, while others have added operating environment to the mix. Still others have added lubricant and equipment compatibility. All of these tend to confuse the end user. The result is that many end users look to their lubricant suppliers for assistance. This is a good plan, but can sometimes result in a mere comparison of price or data sheet numbers—in other words, a numbers game. Instead, try using this 10-step process for lubricant selection to make the process easier and more systematic, resulting in improved equipment reliability. Remember: Be careful when playing the numbers game. Most players end up losing. 1. Thibault, R., “Certification Matters: Part III Gearbox Principles and Lubrication.” Lubrication Management and Technology, Applied Technology Publications, Barrington, IL, July/August 2011. 2. Cooper, T., “Selecting the Right Industrial Gear Oil,” Machinery Lubrication, Noria Corporation, Tulsa, OK, November 2008. 3. American Gear Manufacturers Association, American National Standard Industrial Gear Lubrication ANSI/AGMA 9005- E02, American Gear Manufacturers Association, Alexandria, GA, 2002. 4. Errichello, R., “Selecting and Applying Lubricants to Avoid Micropitting of Gear Teeth.” Machinery Lubrication, Noria Corporation, November 2002. 5. Ludwig, L. G., “Lubrication Selection for Enclosed Gear Drives,” Machinery Lubrication, Noria Corporation, Tulsa, OK, November 2008. 6. American Gear Manufacturers Association, American National Standard Industrial Gear Lubrication ANSI/AGMA 9005- D94, American Gear Manufacturers Association, Alexandria, GA, 1994.LE WHITE PAPER Purchasing Gear Lubricants: Be Careful When Playing the Numbers Game 12 © 2011 Lubrication Engineers, Inc.
7. Lansdown, A. R., Lubrication and Lubricant Selection: A Practical Guide, Mechanical Engineering Publications, London, 1996. 8. Johnson, M., “High-Performance Lubricants: Cost vs. Performance,” Tribology and Lubrication Technology, Society of Tribologists and Lubrication Engineers, Park Ridge, IL, May 2010. 9. ASTM International, “D2782 Standard Test Method for Measurement of Extreme-Pressure Properties of Lubricating Fluids,” Conshohocken, PA, 2011. 10. ASTM International, “D665 Standard Test Method for Rust-Preventing Characteristics of Inhibited Mineral Oil in the Presence of Water,” Conshohocken, PA, 2011. 11. ASTM International, “D130 Standard Test Method for Corrosiveness to Copper from Petroleum Products by Copper Strip Test,” Conshohocken, PA, 2011. 12. Errichello, R., “Selecting and Applying Lubricants to Avoid Micropitting of Gear Teeth.” Machinery Lubrication, Noria Corporation, November 2002.
has a BS in chemistry from Wichita State University and an MS in environmental science from Friends University. 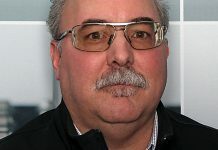 In 1989 he began his career at Lubrication Engineers, where he has been responsible for a variety of lubricant quality, formulation and testing activities. 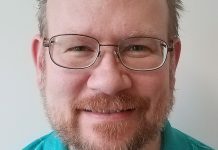 He is an STLE-certified lubricating specialist, and his memberships include SAE, NLGI, ACS and STLE. He has authored or co-authored 20+ technical and marketing papers and one book chapter. 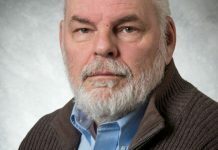 He is a past winner of the NLGI Author’s Award.